Mt Mitchell NC cabin rentals are ideal for those who want to explore the natural beauty of the High Country. At Blue Ridge Parkway Cabin Rentals, we offer two cabins that are literally steps away from the famous scenic parkway. But they’re also just a short drive to Mt. Mitchell as well. Nearby Grandfather Mountain is the highest peak in the Blue Ridge Mountains. But Mount Mitchell is the highest peak of the entire Appalachians. Although originally named Black Dome for its round shape, the mountain now features the name of University of North Carolina professor Elisha Mitchell. In 1835, Mitchell discovered that the height of the mountain exceeded the Mount Washington peak in New Hampshire, distinguishing it as the highest peak east of the Rocky Mountains. His measurements were later called into question, so he returned in 1857 to verify his calculations. He fell from a cliff above a nearby waterfall, was knocked unconscious, and drowned. The mountain bears his name in honor of his work. 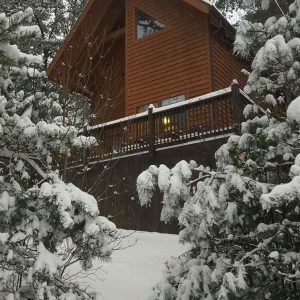 Booking your stay at Mt Mitchell NC cabin rentals puts you right in the heart of some of the most extensive array of rare animal and plant species in the area. The spruce-fir forest also features fire cherry, mountain ash, yellow birch and mountain maple trees. Beautiful blossoms of the blueberry, honeysuckle and mountain raspberry bushes produce a sweet fragrance enjoyed by park visitors. And over 90 species of birds share the environment with flying squirrels and saw-whet owls, as well as black bears, bobcats and gray foxes. Book your stay with Blue Ridge Parkway Cabin Rentals and immerse yourself in the natural diversity of the High Country. Just twenty-five minutes from Mount Mitchell, both the Blue Ridge Parkway and surrounding Pigsah National Forest lend themselves to a variety of different species of trees, flowers and animals. Five miles of road connects the parkway to a trailhead that reaches the summit of Mount Mitchell. 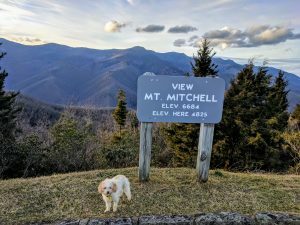 No other Mt Mitchell NC cabin rentals can offer you the same stunning views, modern amenities and convenient locations like those available through Blue Ridge Parkway Cabin Rentals. Book with us today to reserve your stay!